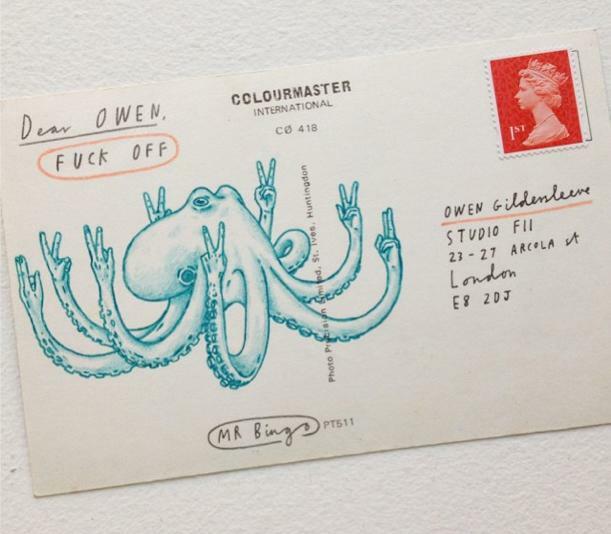 Just received an email from Mr Bingo,inspired me to start up a thread for his work here. 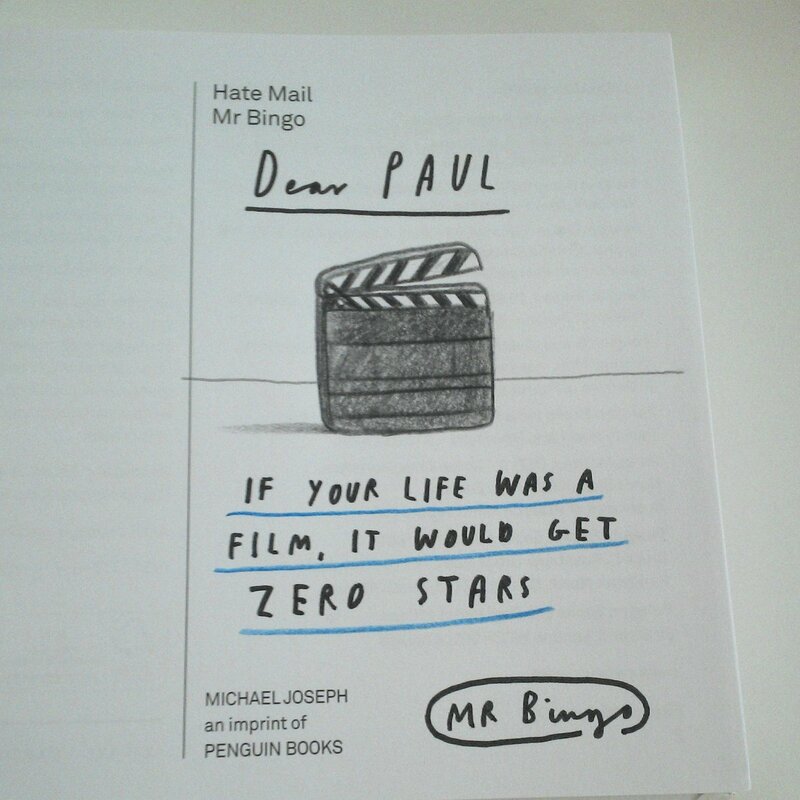 I'm planning to self publish a second book of Hate Mail this year, which I'll be funding through kick-starter. It's gonna be bigger and better than the first book and the attention to detail and quality of the print and finish of the book is going to be top quality (because I'm in charge of everything!). I'm really excited about it! 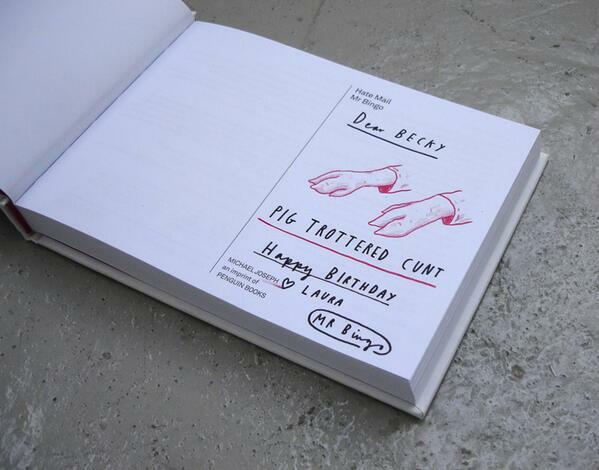 Out of the 156 Hate Mails currently selected to be in the book, your's is included. 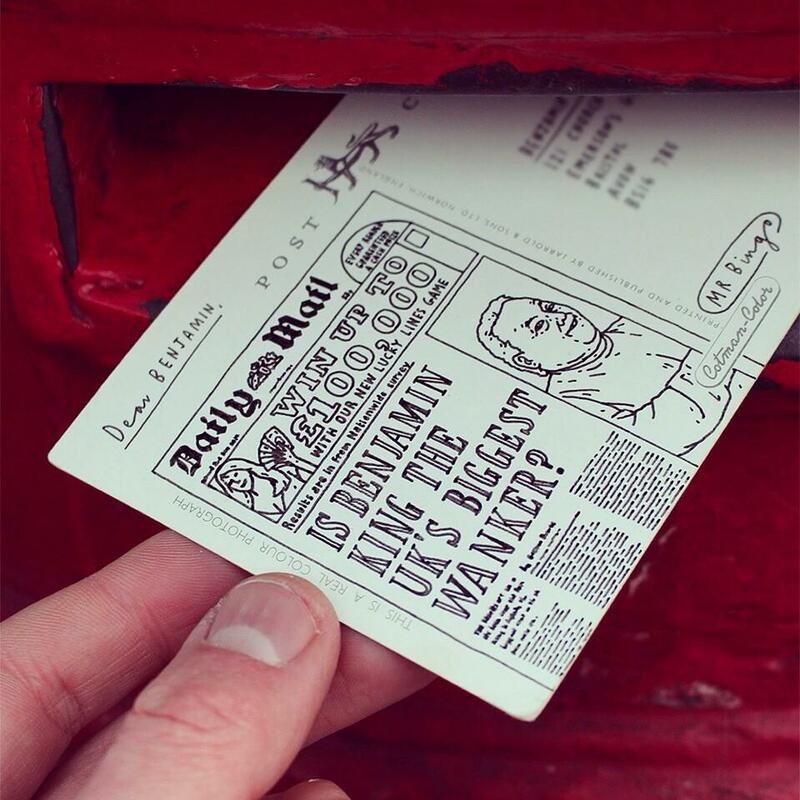 Are you happy to have the address on your postcard printed in the book as it is, or would you like it changed? 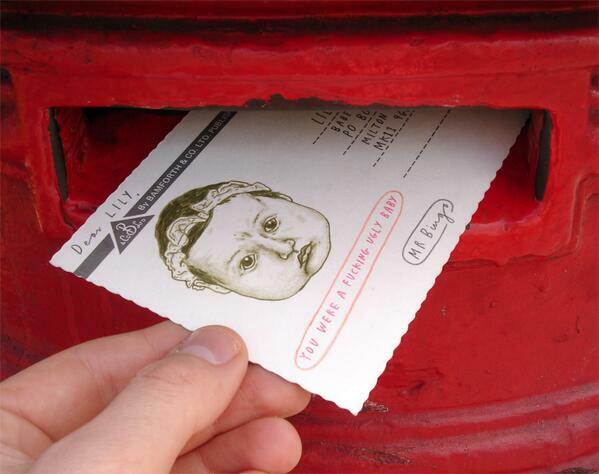 If you opt for having it changed, the artwork will be digitally retouched to change it to an unrecognisable, fictitious address. We did this with the first book and everyone who opted to have it changed was happy with the outcome, so don't worry, you're in safe hands. 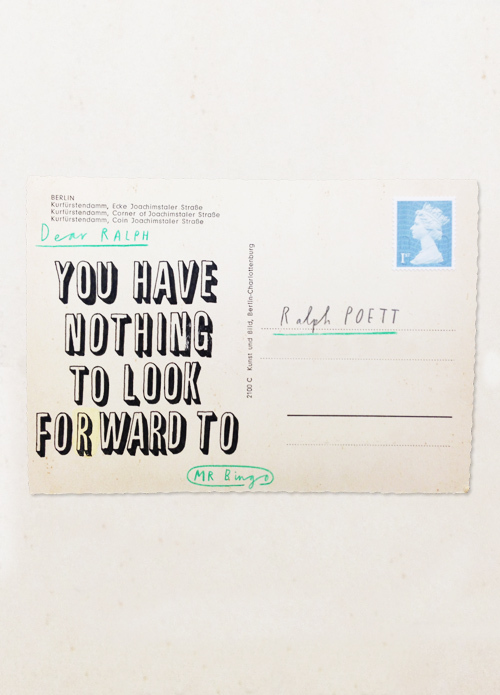 When you reply, can you make sure you're clear. (for instance, the word 'yes' can be interpreted as "yes I'd like it changed" OR "Yes, I'm happy with it to stay the same". So just make sure you word it clearly so there's no mistakes, THANKYOU! If I leave my address "as is" and end up getting murdered, I'm going to be so disappointed. I know! How embarrassing would that be?! 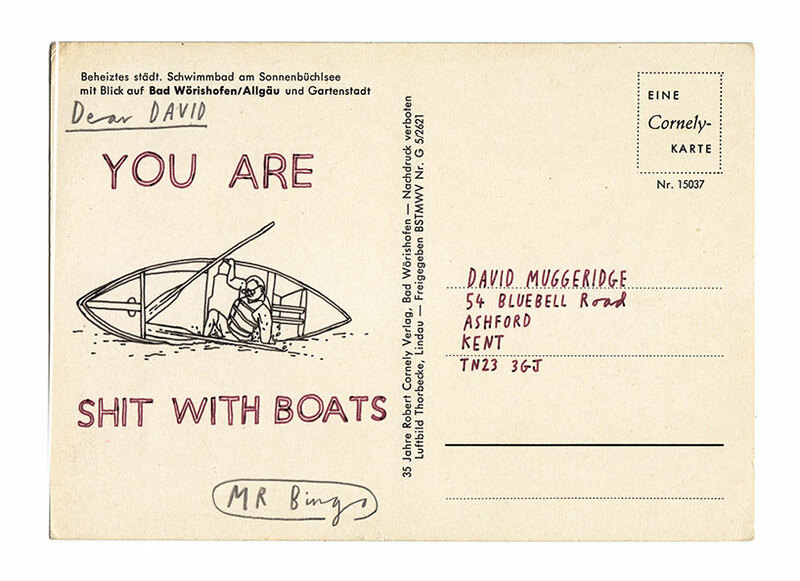 I love Mr Bingo. Just assume I "like" all of these posts. 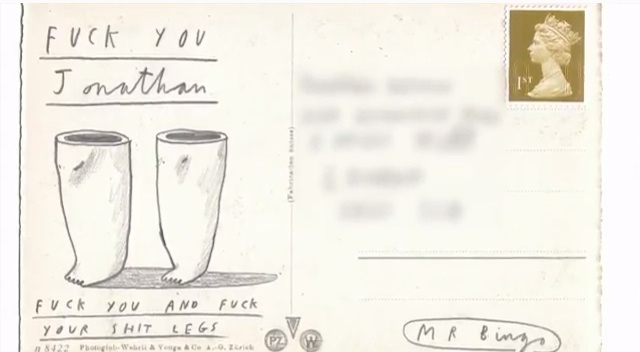 On a serious note, I never understood why people would pay for hate mail... Now that I see some of his *work* I realize the cards are doodled. But they're mean as hell; granted, they're funny. Received the same mail today. 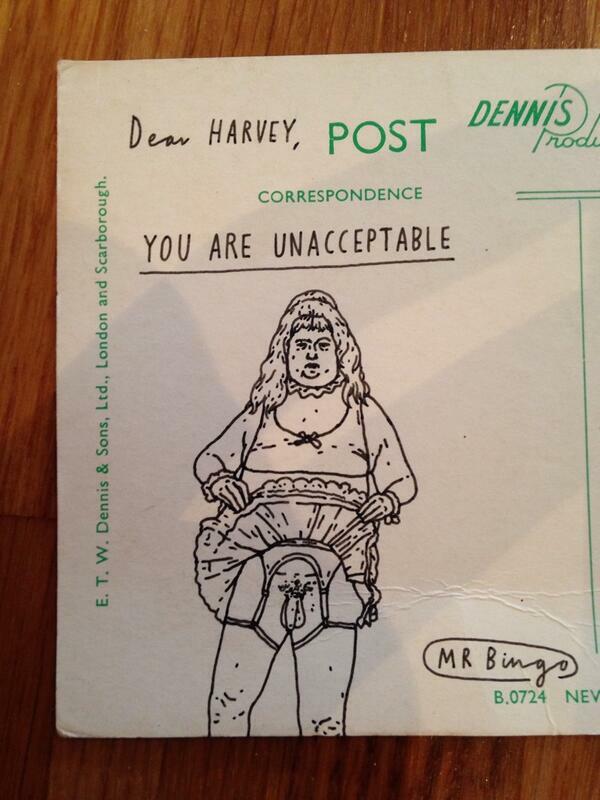 Bought a Hate Mail for a friends wedding. They loved it. 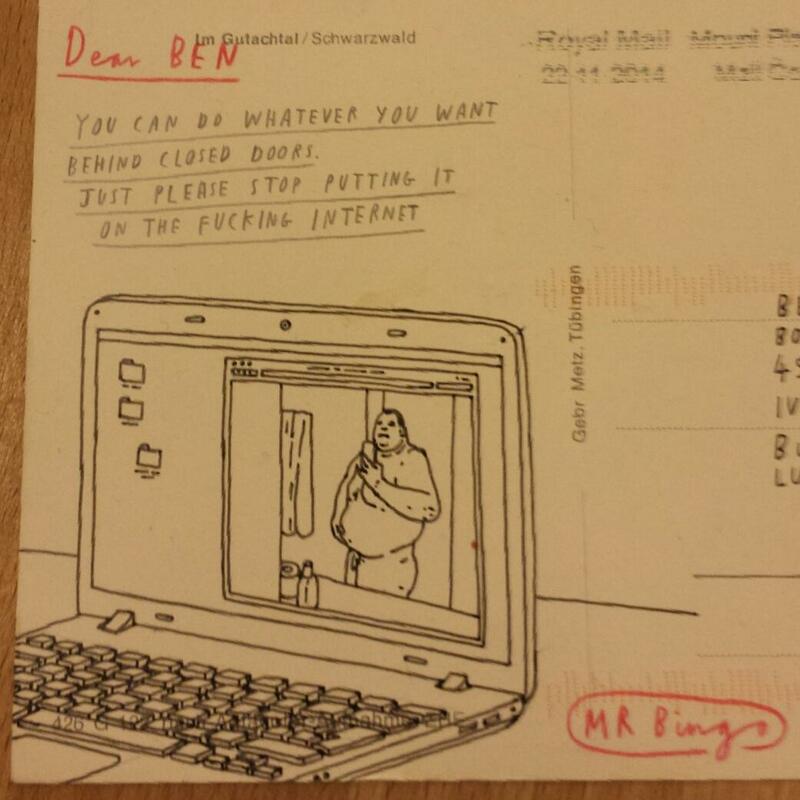 Love Mr Bingo too. Thanks for starting the thread. 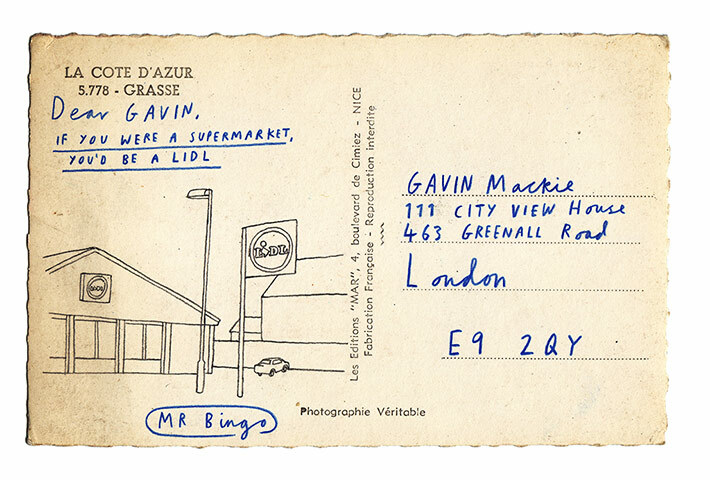 I've missed it when he's doing postcards. Hope to be in time next time. 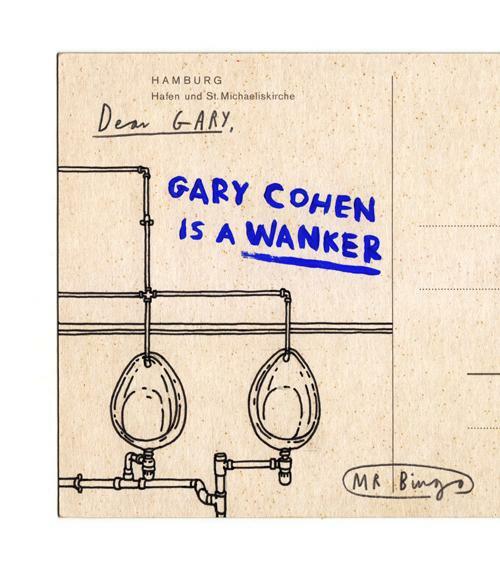 coach I dare to guess that if it's to be funded via Kickstarter then one of the first funding perks no doubt sell out will be some fresh 'Hate Mail'… get yourself on that list when (if) it pops up…! I will do! Thanks speebe. I bought the book for myself as a Christmas gift. Loved it. 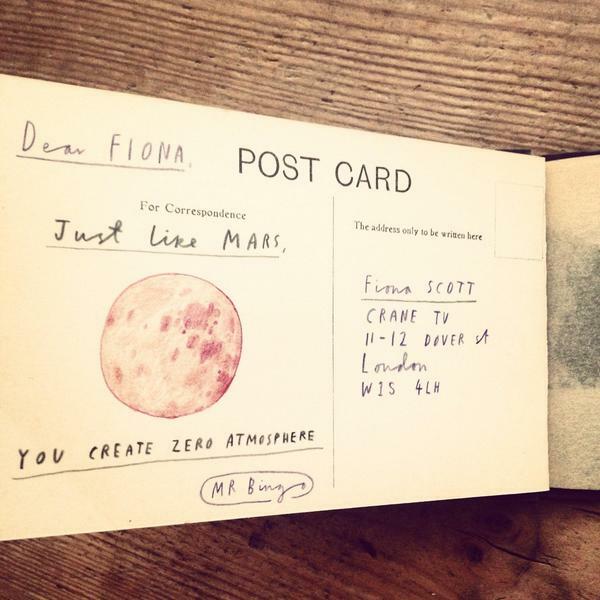 Shame he don't send the postcards to Sweden. 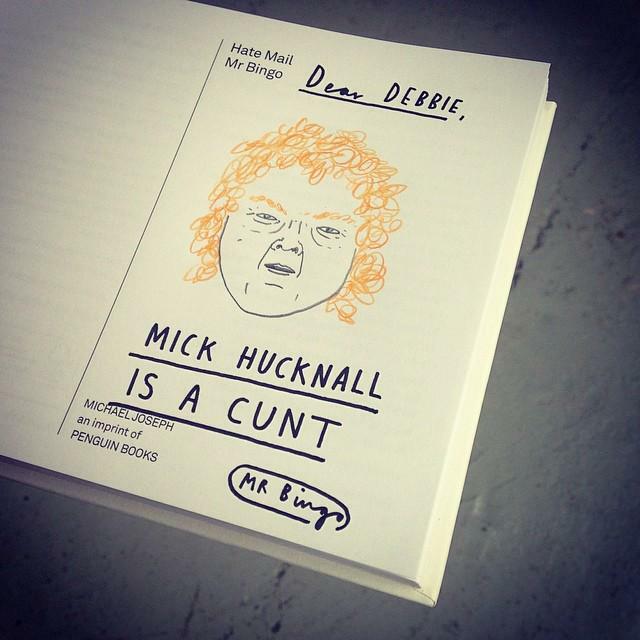 Realised from this post that I'd never got around to buying some of this dudes hate mail so have just been on his website to order one of the signed books. Love this stuff.